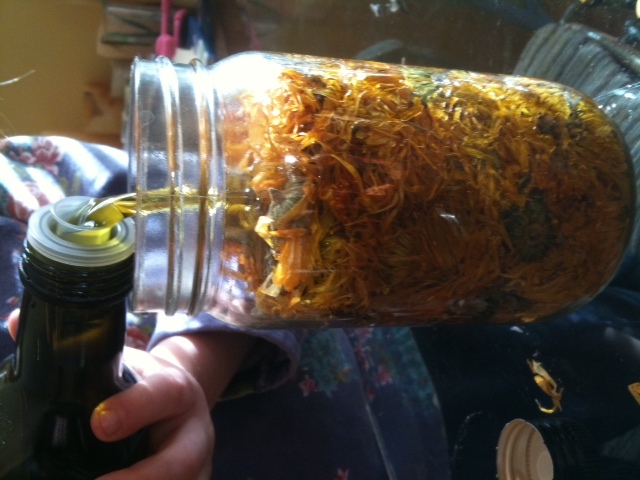 This evening I made a soothing calendula salve with my daughter. 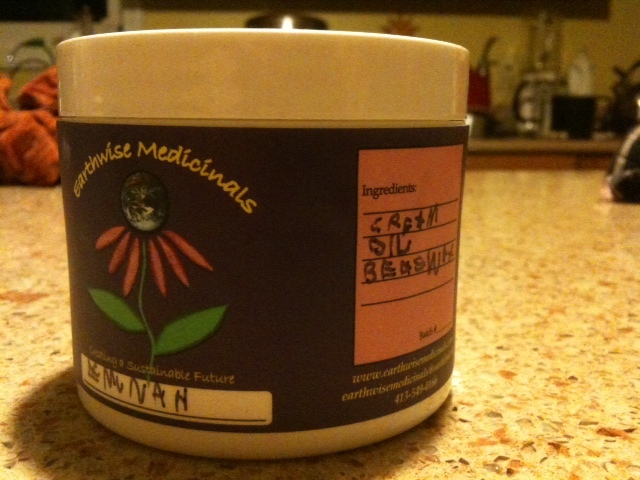 She was very proud to make her first herbal salve and did most of the job herself. Calendula salve can be used to sooth any manner of skin abrasions, rashes, irritation, and/or diaper rash. And if a 5-year-old can do it, so can you! In a double boiler, pour in the base oil. Heat gently and add in the beeswax, cacao butter, and coconut oil. Let all the ingredients melt together, stirring occasionally. Add essential oil if desired, and pour into jars. allow to cool with lids off. Once cool, cap and store for up to 2 years. enjoy your soothing herbal salve!